John Kasich says his rivals should follow his lead and call on the super PACs supporting them to take down negative advertisements. Kasich, who is spending Monday campaigning in New Hampshire rather than Iowa, says candidates should spend the next week talking about "what they're for" rather than knocking each other down. Kasich's campaign on Monday told the super PAC backing him not to air a negative television ad against rival Marco Rubio. Campaigns and super PACs are barred from coordinating, but the super PAC chose to replace the negative ad with a positive spot about Kasich. Kasich, who has largely declined to hit his rivals, has started shaming them for promoting what he says are lies about his record. Many of his GOP opponents use his expansion of Medicaid in Ohio to tie him to President Barack Obama. 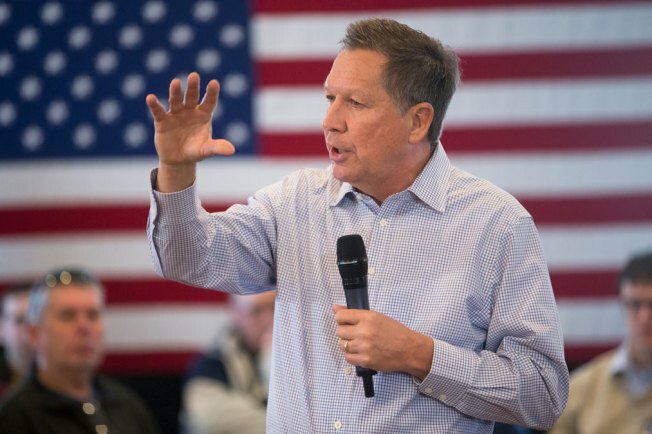 But Kasich isn't backing down from his choice, saying it's saved lives in his home state.